OLD ORCHARD BEACH, Me. – The Old Orchard Beach Surge (14-17) were outplayed by the Puerto Rico Islanders (20-11), falling 9-0 in Empire Professional Baseball League play Saturday afternoon. The Islanders scored 4 times in the top of the 3rd and never looked back. 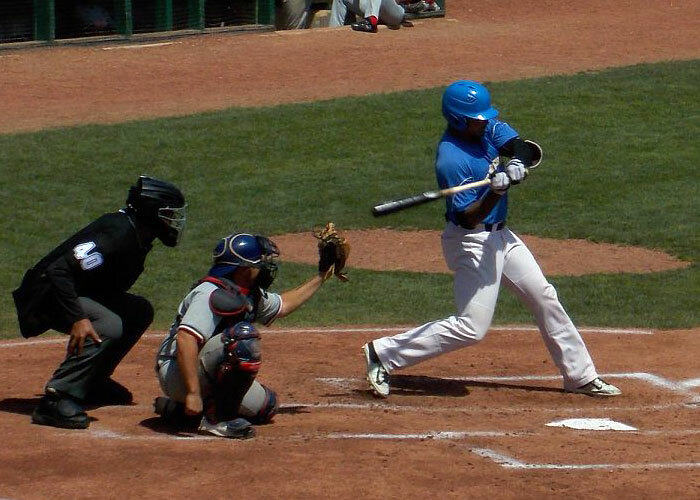 A few singles by third baseman Angel Perez and center fielder Markus Guzman followed were followed by a sacrifice fly from first baseman Kyle Schade. Puerto Rico plated 3 more in the 4th thanks to an RBI single by Perez after a leadoff double by designated hitter Evan Hirschbaum. Shortstop Nick Landell homered to leadoff the 5th and extend the score to 8-0. The lone extra base hit for the Surge was a double hit by second baseman John Tierney Jr. in the bottom of the 8th. Designated hitter Quinn Tiernan smoked two singles up the middle, going 2-3 on the day. Left fielder Cole Easely got on base 3 times in an 0-2 game, getting hit twice and hitting into a fielder’s choice. Islanders starting pitcher Wendell Floranus earned the win by pitching 7 shutout innings, giving up 4 hits, walking one and striking out 10. Surge starting pitcher Johmmie LaRossa took the loss, giving up 6 runs in 4 innings pitched. He allowed 5 hits and 5 walks on the day. The Surge play tomorrow morning at 11:00 A.M. in the finale of a 6-game series against the Puerto Rico Islanders.